After a great successful SKY GARDEN APÉRITIF last month, Hansar is glad to announce the CHAPTER II, on Nov.7th. 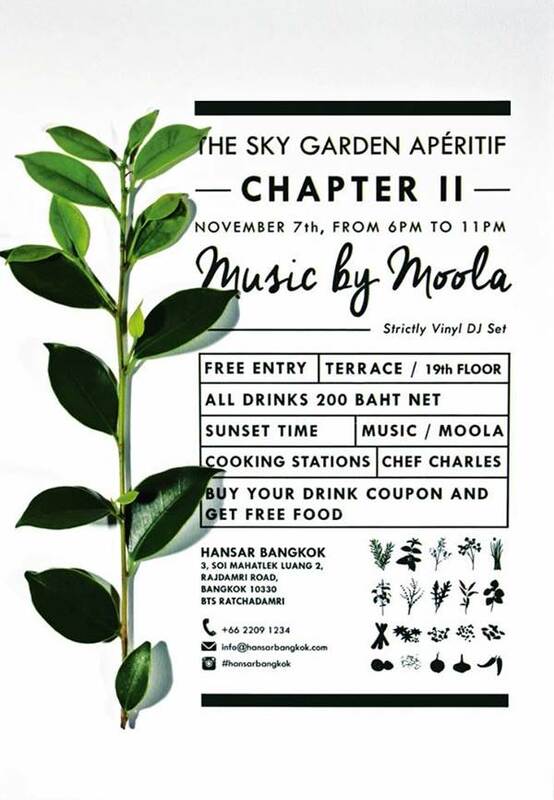 It is your chance to appreciate the terrace garden, sunset, and music by the talented MOOLA, a strictly Vinyl Dj set. Featuring free entry, music by MOOLA, 200฿ per drink, which includes one free access to the cooking station.